Carnival A5 notepad is the ideal size for slipping into your briefcase or hand bag and is available in 4 vibrant colours. 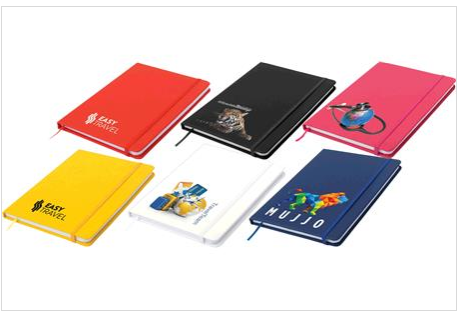 Featuring an elastic closure and ribbon marker these notepads are perfectly suited to feature your logo. Available in navy, red, black or green. Product size is 210mm x 150mm wide with 160 pages.